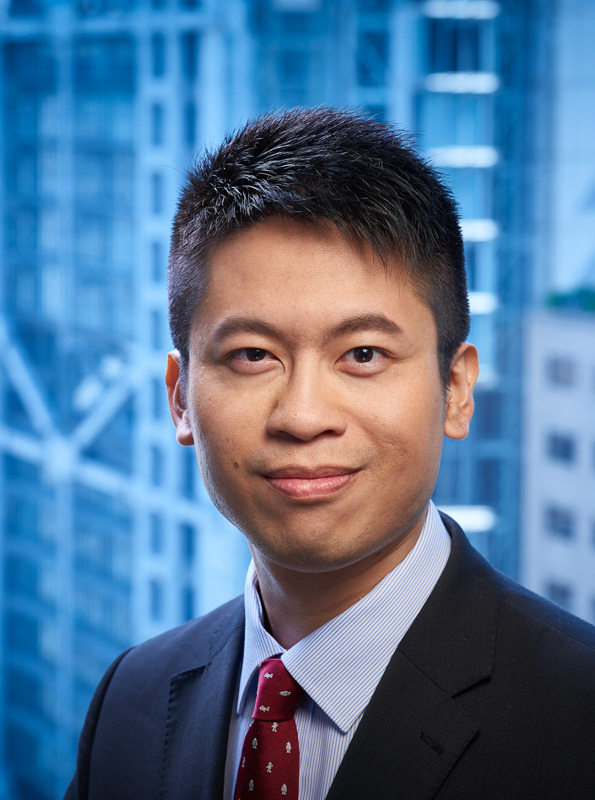 After graduating from Oxford University, Alvin joined Des Voeux Chambers in 2008. He now engages in a wide range of civil & commercial litigation, including contractual disputes, company law, building management, land law and matrimonial matters. He has advised on and acted alone in High Court and Family Court trials (for variation of maintenance orders and judgment summonses) and interlocutory proceedings including Mareva injunction applications. LBO v WWKF FCMC 11924/2005, HH Judge Melloy, 30th April 2015 – application for variation of maintenance, leave to enforce arrears of children’s maintenance and judgment summons in a divorce. Guangdong Finance v Wong Wai Hing DCMP 2370/2014, HH Judge Andrew SY Li, 12th June 2015 – trial of mortgagee action by a licensed money-lender and for sale of mortgaged property (mortgage signed by only one of the co-owners) under the Partition Ordinance, Cap. 352. 廣東長虹電子有限公司 v Inspur Electronics (HK) Ltd  2 HKLRD 714 – application to the Court Appeal to set aside refusal of leave to appeal by the first instance judge. The first instance judge had made an order granting leave to enforce a Mainland arbitral award under the Arbitration Ordinance, Cap. 609. Emagist Entertainment Ltd v Nether Games (Hong Kong) Ltd  1 HKLRD 898, DHCJ Woo, 7th January 2013 - application for an interlocutory mandatory injunction for delivery up of source codes to an online game. To Chun Wa and another v Goldsort Co Ltd and others  3 HKLRD 424 - application for a charging order absolute. OTC International AG v Perfect Recovery Ltd  3 HKLRD 13 - as pupil to William Wong SC. A summons in the Commercial Court to properly interpret the Transfer of Business (Protection of Creditors) Ordinance, Cap. 49. Lau Chi Ching Karen v Wing Hang Bank Ltd HCA 103/2014, DHCJ Kent Yee, 15th August 2014 - successfully struck out a HK$65 billion claim made against Wing Hang Bank Ltd.
Chen Zhixuan v Fung Man Kwong HCA 172/2013, DHCJ Mayo, 29th October 2013 - appeal against decision of Master on summary judgment. Upheld Master’s decision granting summary judgment on a debt. Chen Zhixuan v Fung Man Kwong HCA 172/2013, Hon Anthony Chan J, 1st March 2013 - application for Mareva injunction in respect of the proceeds of the sale of land to completed. Lai Siu Wai Louis v Ho King Yin Edwin and others HCMP 1527/2012, Hon Cheung & Yuen JJA, 25th September 2012 - opposed an application for leave to appeal to the Court of Appeal. Yeung Tsz Ying v Shen Frieda Tong HCA 428 / 2012, DHCJ Au-Yeung, 12th June 2012 – an application to vacate a lis pendens. Lai Siu Wai Louis v Ho King Ying Edwin & Others DCCJ 4041 / 2011, HH Judge Chow, 24th April 2012 – an application to strike out the client’s Statement of Claim. Chan Chun Ming Bill v Billion Vins Collection Ltd & others HCCW 444 / 2008, Hon Barma J, 30th March 2012 – 11-day trial concerning a shareholder’s winding-up petition. The Incorporated Owners of Champion Court v Pang Ping Fan Peter & Another CACV 317 / 2006, Hon Au J, 17th November 2011 – an appeal against the Master’ s order to make a charging order absolute. The Incorporated Owners of Champion Court v Pang Ping Fan Peter & Another DCCJ 55/2005, HH Judge Leung, 22nd September 2011 - opposed application to set aside charging order absolute. China Construction Realty Ltd v Sino Business Services Proprietary Ltd and Others HCA1294/2005, Hon Suffiad J, 25th March 2011 - a 11-day trial concerning land located in Dalian, China. Re The Incorporated Owners of Kai Tak Mansion (Block Three) HCCW 268/2008, Hon Fok J, 21st January 2011 – stay of a winding up order. Yangtze Navigation (Hong Kong) Co Ltd v Sealink Ocean Shipping Inc HCAJ 169/2010 & HCMP 2528/2010, application for a world-wide Mareva injunction before Hon Reyes J on 15th December 2010, led by Charles Sussex SC. The Incorporated Owners of Champion Court v Pang Ping Fan Peter & Another DCCJ 55/2005, HH Judge Lok, 4th November 2010 - application to enforce judgment to remove illegal structures from flat. Million Genius Ltd v Cheerbond Development Ltd HCMP 864/2010, Hon Suffiad J, 30th June 2010 – a Vendor Purchaser summons. Parkmost Ltd v Wong Yeung On & Another CACV 383/2010, Hon Tang VP, Cheung JA and Kwan JA, 5th May 2010 - opposed an application for leave to appeal to the Court of Final Appeal. China Construction Realty Ltd v Sino Business Services Proprietary Ltd and Others HCA1294/2005, Hon Saunders J, 31st August 2009 - application for inspection of documents and answers to interrogatories. Re Cassis HCCW 560/2008, Hon Kwan J, 3rd March 2009 - application for appointment of provisional liquidators.